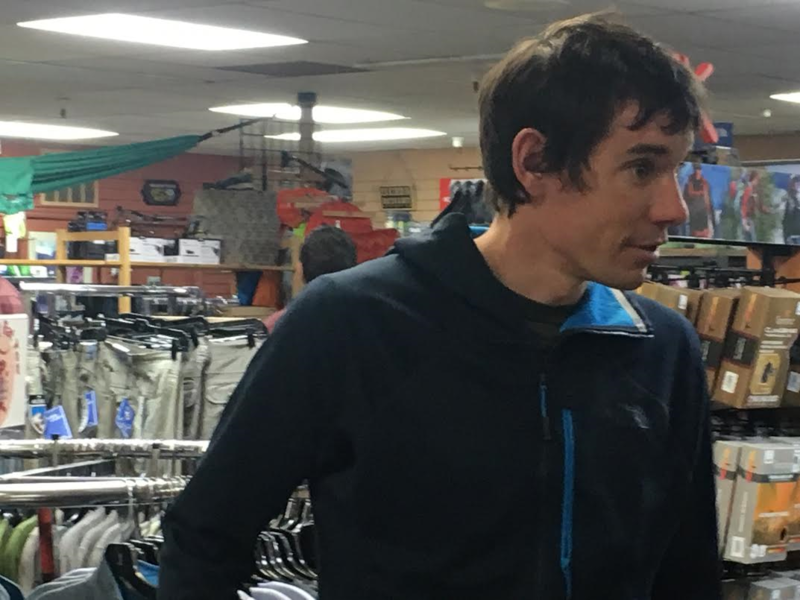 ST. GEORGE – Climbers and outdoor enthusiasts alike lined up inside The Desert Rat outdoor gear and clothing store Friday afternoon for their chance to meet renowned free solo climber Alex Honnold. Honnold is widely recognized as one of the most audacious climbers of his generation. He is known for his free solo ascents – meaning no ropes, harnesses or other climbers – on some of the tallest cliff faces in the United States and throughout the world. Honnold also holds several speed records, including a speedy ascent of The Nose of El Capitan in Yosemite National Park in California with climber Hans Florine. Despite the rainy weather in Southern Utah, Honnold said he was happy to be here and was pleased with the turnout for the event. The daring climber has spent a lot of time climbing in the area, he said, and called Zion National Park his second favorite national park after Yosemite. Honnold brought along several copies of his book “Alone on the Wall” which he wrote with David Roberts detailing some of his climbing adventures. Books were available for purchase at the event with proceeds from sales going to the Honnold Foundation. The foundation is a charity organization that focuses on clean, sustainable energy projects in impoverished areas of the world and in the United States. Honnold was recently in Kenya, Africa, for three weeks and said he might be doing similar work in Ethiopia in the future. With relatively easy access to world-class climbing spots such as Zion National Park and the Virgin River Gorge, or VRG as Honnold referred to it, St. George is a mecca for outdoor enthusiasts and Honnold’s visit drew a large crowd. Fostering a community of outdoor enthusiasts is something The Desert Rat manager Bo Beck strives to do, he said. 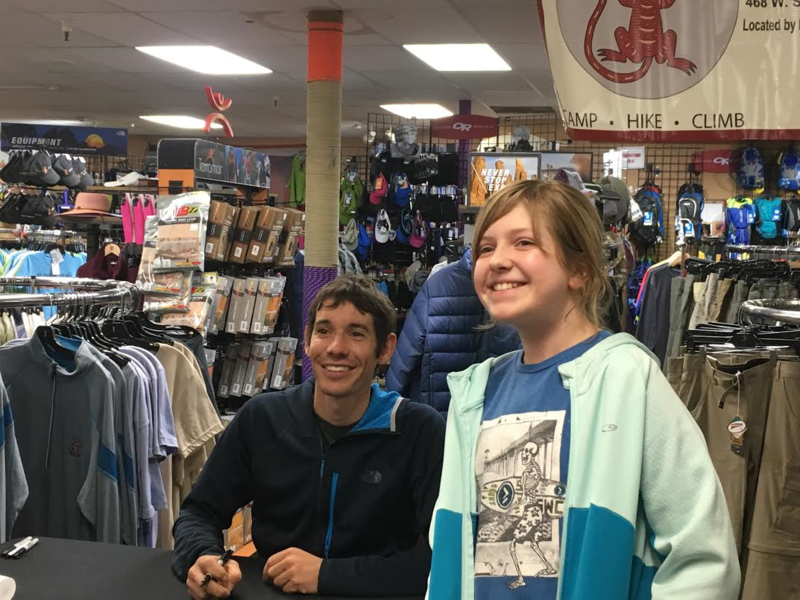 Honnold took time to sign books, posters, calendars and climbing gear for all who attended. 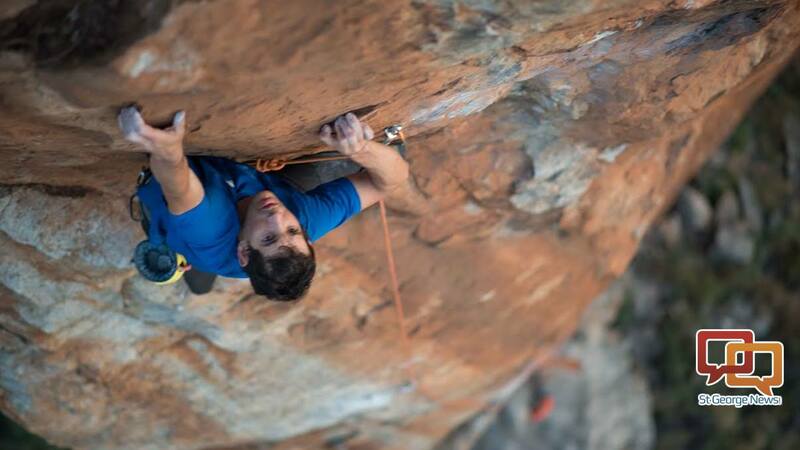 “It’s good to know that so many are people are stoked on climbing,” Honnold said.